THE CREATORS OF Angry Birds, the most successful mobile gaming app of all time, are in dire financial straits judging by their results for 2014 which were released today. Finnish game developers Rovio have never managed to replicate the enormous hit they had with the original Angry Birds and in recent times have relied more on merchandising than game applications for revenue. Their latest results for 2014 show a massive 73% drop in operating profit year on year from €36.5 million to €10 million. Overall revenue also took a hammering with a 9% drop from 2013 to €158.3 million. But most worrying of all, consumer merchandising fell by 43% to just €41.4 million. “2014 was not a satisfactory year,” acknowledged Rovio CEO Pekka Rantala. However, the upcoming feature film is getting very positive reactions from major partners as well as from consumers. This will have a positive impact in the coming years. Rantala only took the reins of the ailing company in January, previous chief executive Mikael Hed having moved to the company’s board after several successive years of disappointing results. Last year Rovio cut 110 jobs, or roughly 14% of its workforce, while also losing certain key personnel who departed to form their own mobile start-ups. As Rantala mentioned, the first Angry Birds animated movie is due in cinemas in July 2016. Starring Jason Sudeikis (We’re The Millers) and Peter Dinklage (the much-loved Tyrion Lannister in Game of Thrones), the movie is expected to cost €75 million. The infuriating-yet-addictive slingshot game first hit smartphones in 2009 and catapulted Rovio to overnight success. It swiftly became the best-selling paid mobile game of all time. More recently the company has struggled to adapt to the contemporary model of mobile gaming popularised by the likes of Candy Crush Saga. This involves consumers downloading the game for free but then paying for in-game content such as early power-ups or extra levels. 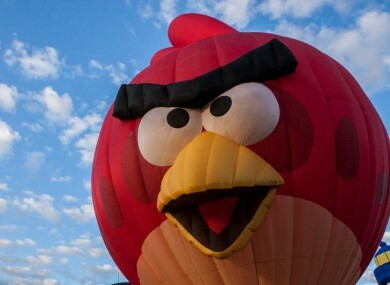 Email “The company that created smartphone sensation Angry Birds is in freefall”. Feedback on “The company that created smartphone sensation Angry Birds is in freefall”.